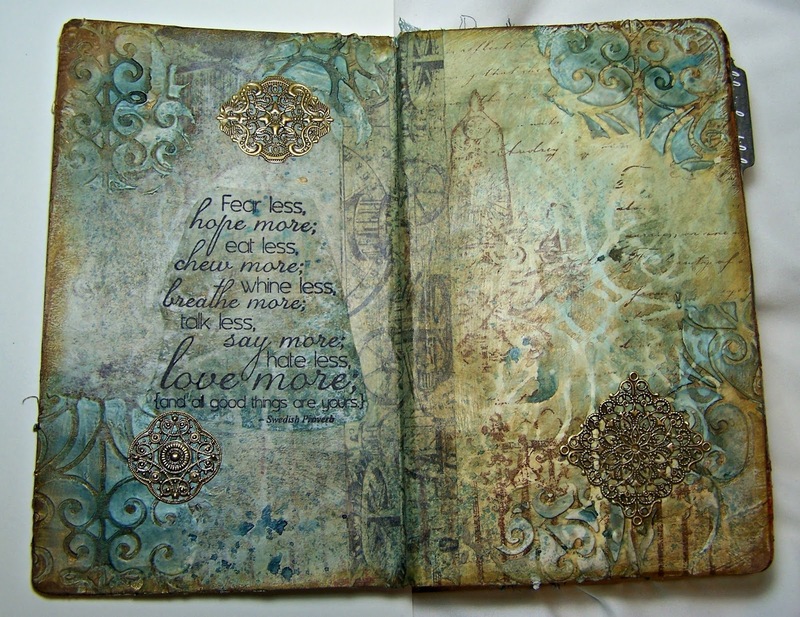 A quick post to show you the Art Journal page that I completed tonight. I received these wonderful metal medallions from Pandahall in the mail today along with a new stencil from Club Scrap. The saying featured here is also from Club Scrap and really fit my thoughts tonight. There seems to be so much negativity in the world today. Tonight I wanted to make a page that reminded me that there is still a lot of good out there as well. Art Journaling is such a great way to express your thoughts and feelings! One last thought, I am really liking the Liquitex Matte Medium on these pages. I like the coverage it provides without the super shiny finish. Hope you all are having a good week!